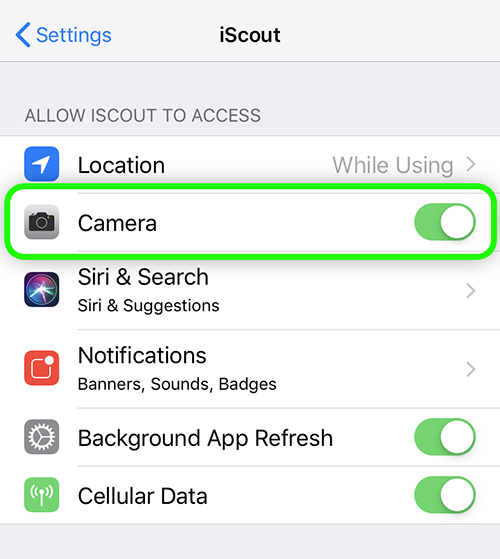 The first time you attach a photo or use the code scanner, the device will ask you for permission. Press "Allow". If you accidentally denied permission and would like to allow it, follow these steps. 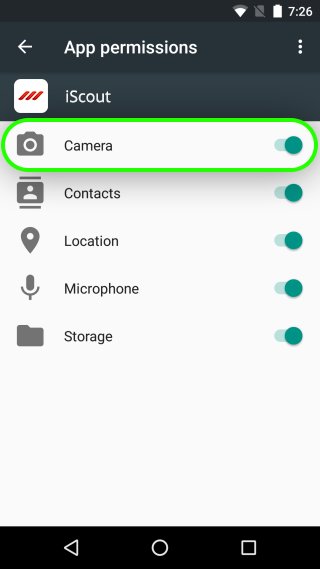 Set the "Camera" permission to "On"